I live in a city with a relatively large Islamic community who have built a complex with a beautiful mosque and Islamic private school, so this just makes me shudder. Our mosque has contributed heavily to our community and strives to be very open and welcoming. They are involved in the community just as churches are. The Imam speaks at community events. They have open houses and luncheons and other events which welcome the community into the mosque. Even the thought that some hate-filled piece(s) of crap would/could disrupt that horrifies me. And from what I'm reading, these mosques in NZ were much the same. We have seen way too many attacks on places of worship and services of worship in recent times (The Globe chronicled all the major ones from the last decade in the article below). 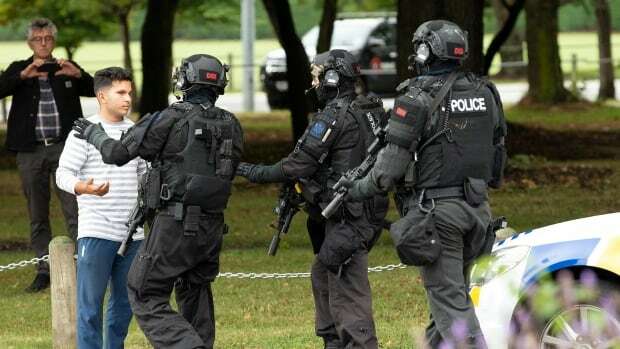 Police guards and emergency response teams are a short term measure. Longterm, the solution is for the hate and violence to stop. How do we stop it? How do we promote respect between faiths and ideologies? How do we marginalize and control or destroy the ISISs, anti-Semites, and white European nationalists of the world while preserving the respect between the mainstream of the various faiths? I'm finding the news pretty overwhelming these days. I saw the headline in the news and couldn't read it yesterday. I have no idea. Other than don't lose sight of our values and get sucked in by hate and xenophobia no matter how much these evil forces - and I do think there are some evil winds blowing right now - would like us to. Sorry, no point in posting. They put it behind their paywall so most of you won't be able to get it anyhoe. Seems to me to be a rather important piece to bury that way. 1999 was a very good year on a number of fronts, but I'm sure if we look back closely, it had its problems, too. Sticking our heads in the sand won't fix anything. This is terrible...have they caught the shooter(s)? One arrested and expected to be charged with murder. Three others detained but no word on charges for them yet. I hope the fact the shooters are alive and not dead will give some more answers. In the meantime my heart breaks for New Zealand and the families and the world. 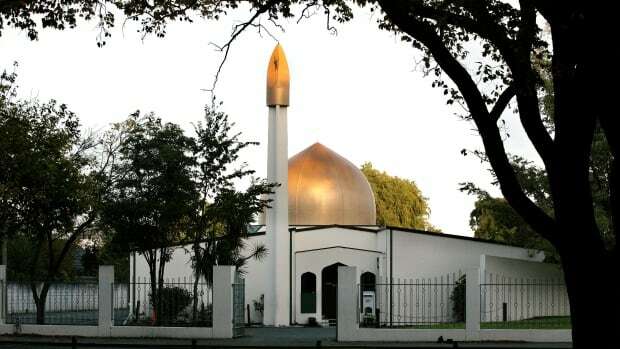 A manifesto linked to the man charged in the shooting attacks of two mosques in Christchurch, New Zealand, says he was motivated by white nationalist ideology, had planned the attack for years and anticipated that he might not make it out alive. The fact that our own Andre Bissonnette was one of the names the shooter cited is a bit chilling. Wow he filmed the attack live! Sickens me....I hope it isnt played on the news. Apparently, it was starting to make the rounds on social media but the big ones like FB are honouring a police request to stop circulation. No doubt it is readily available on the Dark Web though. An excellent Twitter thread that contextualizes events like this and Quebec City. They cannot be dismissed as "lone gunmen" in the current social climate. It's time to redefine who is a terrorist......the alt right requires more scrutiny as much as our usual extremist suspects....maybe more so at this point in time. Actually, the PMs of both Australia and New Zealand referred to terrorists and terrorism for this attack so I hope that becomes the message. Must check and see if the big orange oaf has spoken out yet. Trump gave a pretty clear statement. Didn't refer to it as terrorism, but did call it a "horrible massacre". To be fair, Obama and AOC didn't use the "T word" either. Lovely tweet from NZ-born writer-actor-director Taika Waititi (What We Do in the Shadows, Thor : Ragnarok). Problem is, we seem to be choosing to remain ignorant of how widespread some hatreds are being inbedded into our "so called" peaceful societies by once again adamantly proclaiming "this is not us"! Well yes it is us....we hear of the increasing racism and hate all the time within our own country but we take smug solace in that the terrorism is limited. I"ll bet it iexists in New Zealand too....free speech and social media platforms that promote hate in the name of free speech need to be shut down IMO. There seems to be a growing climate of hate towards one another. I've been of the opinion for awhile now, that the "free speech" movement to protect the right to spread bigotry is a far right scheme that has little if anything to do with freedom of expression.